In a major blow to the international standing of the National Human Rights Commission (NHRC), the United Nations High Commissioner for Human Rights (OHCHR) has recommended that its re-accreditation application be deferred till November 2017, which implies that until then, the commission would be barred from representing India in the UN’s Human Rights Council and the UN General Assembly. Indicting the commission’s administrative infrastructure, independence and functional inadequacies, the report pointed out that the commission needs to be completely insulated and independent from government and political pressure. The recommendations were spelt out by the Global Alliance for National Human Rights Institutions (GA-NHRI), affiliated to the United Nations High Commissioner for Human Rights (OHCHR). The report heavily criticised the commission for fundamental problems in its very organisational set-up, including appointing high-ranking government servants in core positions, non-representativeness of its character, political influence and opaque and non-participatory selection procedure. It also condemned the commission for a tremendous backlog of about 40,000 cases. The move comes as a major embarrassment to the commission and is a stark reflection of the policies and statutory handicaps that continue to plague the system. The sub-committee on accreditation (SCA) reiterated its concerns with regard to the requirement of appointment of an ex-CJI as the chairman. The SCA, while acknowledging the quasi-judicial functions of the commission, said the above requirement severely restrict the potential pool of personnel apt for the job as quasi-judicial function is but one of the 10 functions enumerated in section 12 of the Act. The SCA slammed the commission for its inadequate measures to ensure pluralism in its set-up. Highlighting the fact that deemed members belonging to statutory commissions for women, scheduled castes and tribes, minorities and children rights rarely attend meetings where decisions on the focus, priorities and core business of the NHRCI’s non-judicial functions are made. The SCA asserted that this method of ensuring pluralism is ‘insufficient’. Pluralism must be ensured through broadened appointment procedure, broad-based consultations, effective cooperation with diverse societal groups etc, it suggested. The report also highlighted sharp gender disparity in appointments and pointed out that since 2004, no woman has been appointed to any position on the governing body of the NHRC. It also noted that of its 468 staff, only 92 (20%) are women, highlighting gross gender gap in composition. Leveling sharp criticism over the selection and appointment procedure, the report emphasised that the process enshrined in the Act is clearly inadequate and lacks transparency. It singled out the following criteria that render the system rather opaque and non-participatory, which are- need for advertisement of vacancies, establishment of clear and uniform criteria upon which all parties assess the merit of eligible applicants and specifications as per the norms and procedures involved in screening, selection and appointment. It emphasised the need for a clear, transparent and participatory selection and appointment process for an NHRI’s decision-making body. The report also expressed serious concern with regard to the practice of appointing a senior civil servant as the NHRC’s secretary general and a police officer of the rank of Director General of Police or above as the director (investigations). It questioned the system as it adversely impacts the ‘perceived and actual’ independence of the commission. It pointed out that having police officers and former police officers involved in the investigation of human rights violations, particularly in circumstances where the alleged perpetrators are the police, is paradoxical in its very sense. Notwithstanding the fact that a high-ranking official has a core understanding of the government functioning, the SCA recommended that the secretary general be recruited through an open, merit-based selection process. It suggested a civilian oversight to address the issue of perceived independence of the commission. 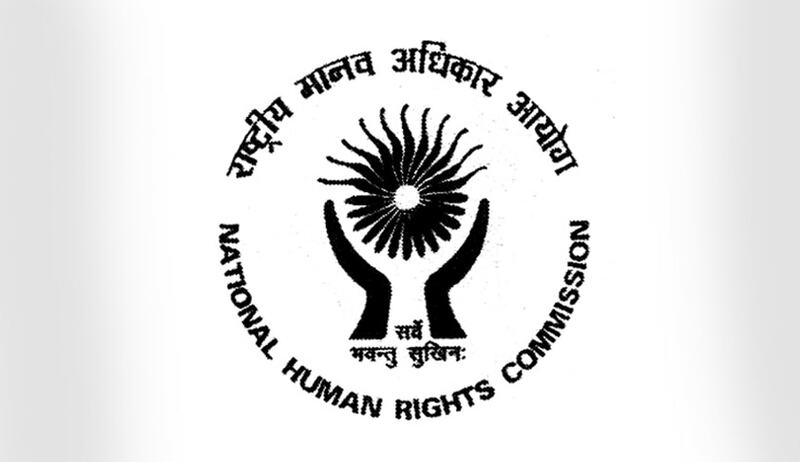 The NHRC also came under sharp criticism for the political interference in its functioning. At the outset, it questioned why the chairperson of the National Commission for Scheduled Castes is a Member of Parliament and that this individual has voting rights in the full statutory commission. It noted that the NHRC did not fare well in meeting the basic requirement of the Paris Principles of independence from the government in structure, composition, decision-making and method of operation. Recognising the need for the commission to work in tandem with the government, it advised that political bosses be held strictly in ‘advisory’ capacity only. The SCA also highlighted allegation raised by the civil society with respect to its complaint handling mechanism, which suffers from extended delays. It advised the commission to handle complaints in timely manner and permit all individuals, regardless of their legal status, to access to its complaint process. It stated that the complaint redressal mechanism and the quasi-judicial functioning of the commission leave a good deal to be desired, especially because not all stakeholders have equal and unfettered access to the process. The SCA noted that the provision that a report cannot be publicized until tabled and discussed in Parliament has become a serious cause of concern. It expressed serious concern that the NHRC’s reports have not been made public since 2012, and recommended that the commission formulate enabling laws whereby its reports are required to be widely circulated, discussed and considered by the legislature. It stated that the SCA found it difficult to assess the effectiveness of an NHRI and its compliance with the Paris Principles in the absence of a current annual report. It also raised concerns regarding alleged inadequate engagement with civil society and human rights defenders. The SCA stated that regular and constructive engagement with all relevant stakeholders is essential for NHRIs to effectively fulfill their mandates.